It’s a fact of life: sometimes bad things happen to good people. Every year, millions of people struggle to work though divorce, bankruptcy, foreclosure, and a variety of other challenging situations. Unfortunately, in many cases, these kinds of situations often lead to financial hardships which in turn have a negative effect on credit scores. That can cause difficulty when someone is attempting to secure financing for a new or pre-owned vehicle. Safford CDJR of Winchester has a dedicated team of finance professionals who help those with less than perfect credit secure auto financing. Best of all, our dealership makes the process fast and easy. Just fill out the form below and with just a few pieces of information, we will begin securing the funds you need to get the car, truck, van, or SUV you’ve been dreaming of! We consult with multiple lenders to secure financing on your behalf. We present you with all the available options from our trusted lending institutions. You pick the option that works best for you and drive away in the new or used vehicle you’ve chosen. 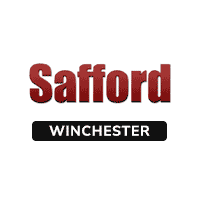 How Does Safford of Winchester Make Financing So Easy? While we’d love to claim that we offer the easiest and fastest auto financing in the state of Virginia, it’s really all about providing options. Our special finance team is always reaching out to new lenders who specialize in helping those that may have less than perfect credit. We’re constantly adding these new lenders to our “portfolio” which in turn provides you with a better chance of securing loan approval at a rate that you can afford. Many of our clients appreciate the fact that most of the financing process can be completed online. Even though millions of people all across the country face similar situations, we understand that experiencing credit difficulties can be a sensitive situation. You can rest assured that all of our credit associates at Safford of Winchester are here to help and will offer an understanding and compassionate ear if you’ve struggled to get financing at other dealerships in the past. We can’t guarantee 100% credit approvals, but we can assure you that there is a reason why more and more auto shoppers are turning to us for all their challenged credit financing needs.